SUPERMANIA returns after a spell in the Phantom Zone with an all-new update from our friend and longtime Superfan favourite Arnie Kim. 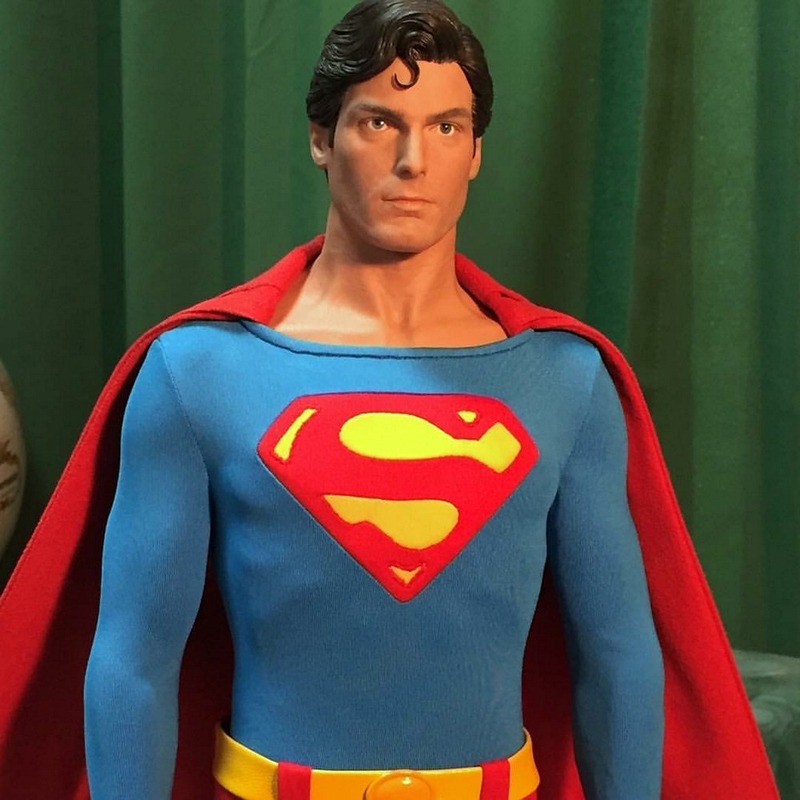 But now Arnie has surpassed himself with the above reveal of this one of a kind semi-poseable mixed media quarter scale figure entitled ‘He Can Fly Now’ featuring accurate fabric costume (Designed by Yeo Jeungmin) and miniature acrylic eyes. 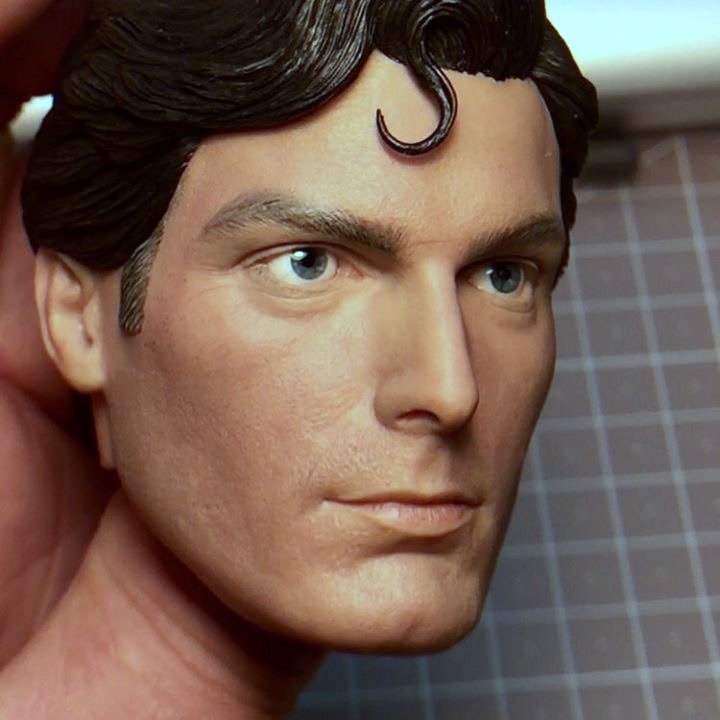 SUPERMANIA has faithfully followed Arnie’s progress on all his Superman projects over the last few years, from the genesis (and ultimate revision) of his Hot Toys sculpt to the limited quarter scale bust and is proud to present the culmination of his work with what must be considered the ultimate tribute to Reeve’s incarnation. 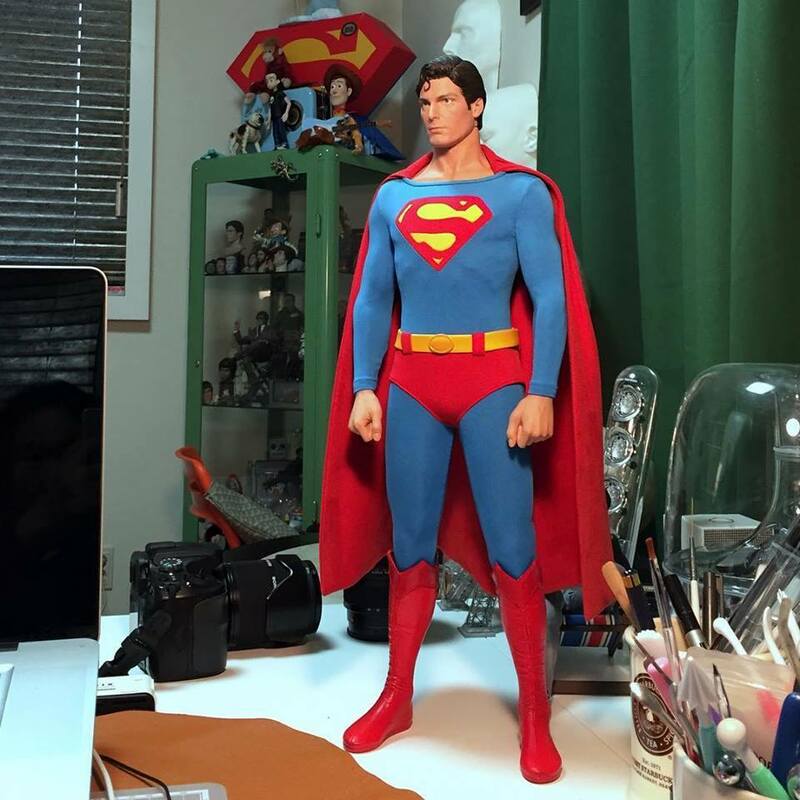 Besides the impeccable likeness (second pic) what sets the finished piece apart is the body proportions (so often overlooked by most commercial releases) where Reeve’s broad shoulders and long legs (third pic) put it in a different class than the likes of Sideshow Collectibles or the more recent offering from NECA, exhibiting a degree of realism most fans have been clamouring for. Its not 100% perfect however – very minor quibbles regarding the size of the hands, low positioning of the belt, length of the boots and inaccurate cape shield do not detract from the overall effect where they might be dealbreakers on a lesser figure.